I’m very lucky to have a career that takes me across Canada and through the US helping bar owners improve their draught beer quality, profitability, and sales. I occasionally get asked what are some of the differences that stand out between the two countries when it comes to draught (aka “draft”). One of the differences are glass rinsers. While most bars in Canada have glass rinsers installed, very few in the US do. I was on a market tour recently in a southern state and only saw one rinser in about ten bars. Half of the ten bars were 'beer centric' bars, one was even a brewery bar with no rinser. Rinsers play an important role in quality. Contrary to what most people think, the rinsers do not make the glasses beer clean. You need a brush and special cleaner for that. Nor do they sanitize the glass, the glasswasher does that. One way that the rinser shines is removing any sanitizer residual that remains in the glass. 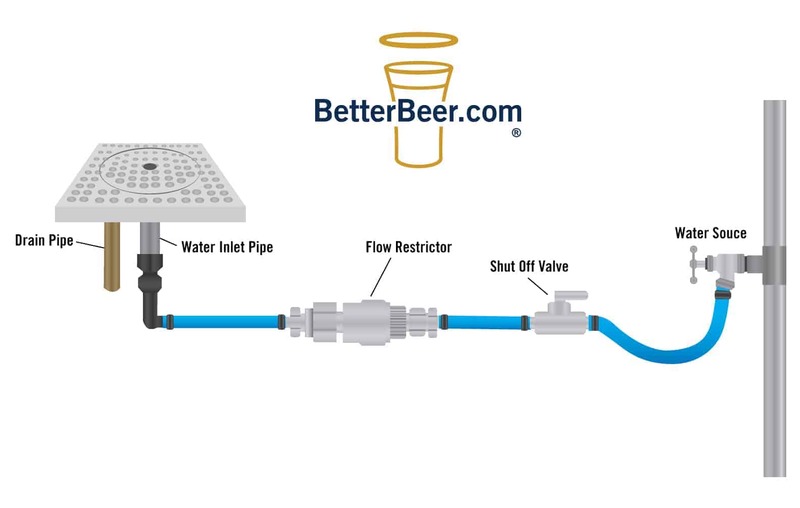 Hooked up to the cold water line, the rinser sprays the inside of the glass with cold water – think of it as a bidet for beer. Consider the sanitizer gel that you put on your hands – it sanitizes right away, but the sanitizer needs to evaporate. The same thing happens in the glass washer. The sanitizer does its job but the residual needs to evaporate too. When a bartender takes a glass out of the glasswasher and immediately pours beer in it, the glass will have a film of sanitizer that kills the head, makes the beer smell like bleach, and taste like iodine or chlorine. “This headless beer smells really clean”, the guest says. Rinsing the glass for a second or two before pouring removes any sanitizer from the glass so the beer tastes like beer. Another reason that the rinser rocks is because, unfortunately, guests love frozen glasses. Silly guests. The issue with frozen beer glasses is that they are typically not air dried before being placed into the freezer. Let's be honest for a second - nobody (I mean nobody) air dries glasses. This causes the sanitizer to freeze to the inside of the glass so when beer is poured into the glass the sanitizer melts into the beer causing the aroma and taste problems listed above. Rinsing a frozen glass for a second or two thaws the sanitizer, rinsing it out so the beer tastes like beer. The rinser also thaws the inside of the glass so that beer doesn't freeze on contact. If you have ever tasted a once-frozen beer you know that it is completely flat (and looks cloudy). 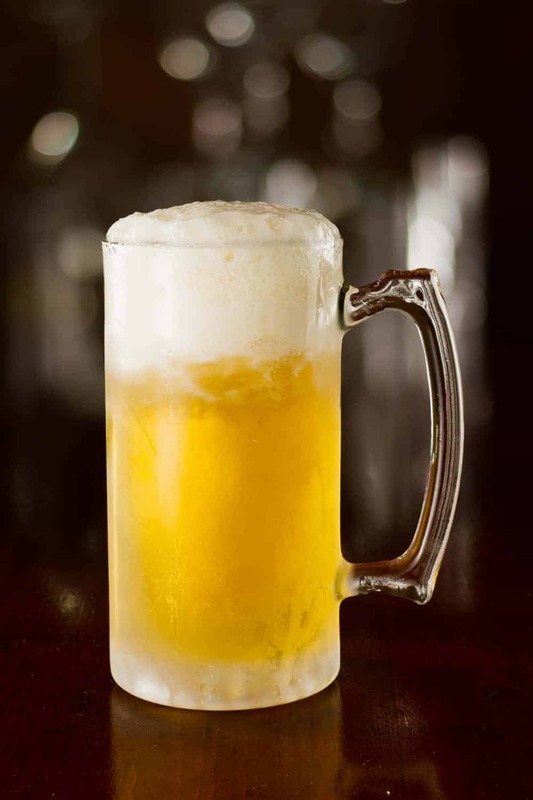 A frozen beer glass that is not rinsed makes the beer freeze, go flat, kills the head, and smell and taste like bleach. Installing an under-counter mount rinser is the answer. Typically you can get them installed for $300-400. Make sure the installer puts on a shut off valve and a flow restrictor (with a check valve) into the cold water supply line. Every bar should have a rinser that is close to the taps and easily accessible for the bartender. Every bar that uses frozen glasses must have a rinser. Your guests will thank you and you’ll actually save some cash by not topping up headless pints. Quality and ROI. Now we’re talking.